Within each stage are a series of activities which are designed to help maintain momentum, ensure that innovations are implemented and also ensure that any lessons learnt along the way are used to shape and develop a culture which ensures sustained innovation over time. 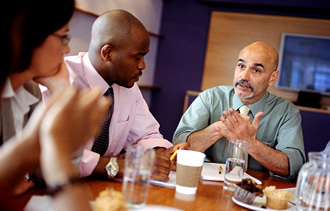 Central to the whole process is the process of effective leadership. The model is illustrative and each i-lab@HE project will be distinctive and may involve all or some of the activities, in some instances with a particular emphasis on some parts of the process. If you now review each of the 10 elements of the process this may help you appreciate how the various aspects of the process link together. 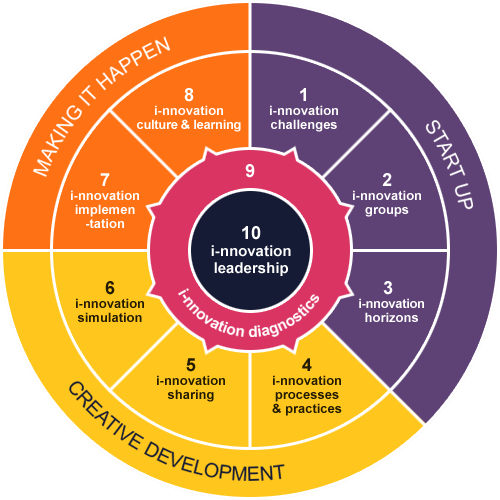 We also offer a range of workshops on a wide range of themes relating to creativity and innovation in higher education.